Rob Brown believes the appalling suffering of piglets and bull calves proves that neither the current SNP Government nor the EU can be completely trusted with farm animal welfare. The pig research centre at the Scotland’s Rural College in Midlothian doesn’t tend to hog the headlines. 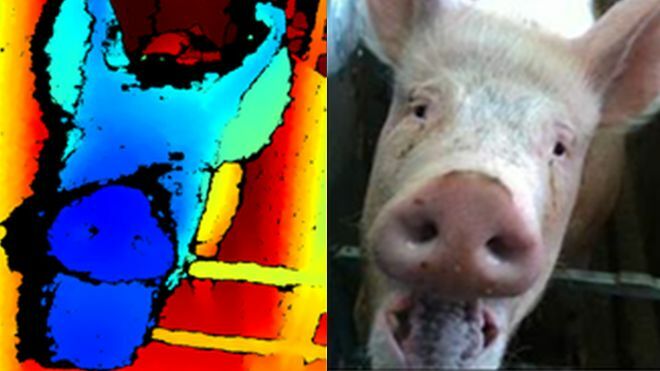 But its scientists have been in the public spotlight recently for developing a facial recognition tool which has the potential to detect if any farm animal – pig, sheep or cow – is content or distressed. This story came on the radio as I was pulling into my local supermarket. Instantly I started to see visions of the best wee country in the world proudly combining pioneering technology invented in Penicuik with its newly regained political autonomy to forge a wondrous new form of freedom – not just for all its human inhabitants but its farm animals as well. Then I started wheeling my trolley down the supermarket aisles and was brought back down to Terra Scotia with a shuddering bump. All around me my compatriots were feverishly snapping up the cut price offers on bacon, black puddings and square sausages. While it is fairly uplifting to know that at least a few Scottish scientists striving to improve animal welfare, I don’t think we need any fancy new electronic gadget to work out the feelings of the vast majority of the 150 million pigs fattened up and slaughtered across the EU each year to produce such staples of the Scottish national diet. We certainly shouldn’t require a facial recognition tool to discern the distress of a bull calf which is whipped away from its mother within weeks of its birth then taken on a 135-hour truck journey – involving two ferry crossings – from Scotland to as far away as southern Spain to feed our continental neighbours’ greater predilection for veal. 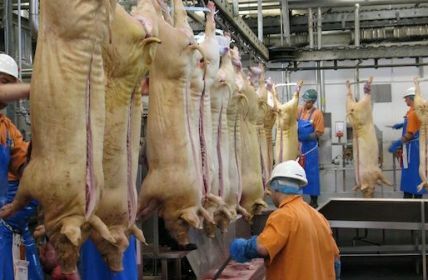 How these wretched creatures are finally put out of their misery is also not subject to the strict scrutiny put in force in Scotland, where all abattoirs have recently been legally required to install CCTV cameras. The means of slaughter on many parts of the continent remains much less closely monitored. So the fate of up to 5,000 wee wobbly creatures a year discarded by the Scottish dairy industry before they are properly weaned – simply because they were born with testicles rather than udders – remains deeply uncertain. Don’t any of you go worrying your little heads off about that one Scottish-born calf found dead on a cramped lorry when the vehicle pulled into a rest station in northern France last November. That was simply a single isolated example of lack of adherence to “strict EU rules” on the transportation of livestock. Be ye still not convinced that every sentient being reared in Scotland under current legislation is a happy, clappy creature then rest assured it’ll all be totally grand when we’re Independent in Europe. Just you wait until Scotland’s like Denmark – a nation of almost six million relatively affluent folk securely locked within both the single market and the customs union. Sounds great, doesn’t it? Just one wee snag: there really is something rotten in the state of Denmark. Despite the growing assurances of successive agriculture ministers in Copenhagen that they have belatedly discovered the meaning responsible animal husbandry, their department’s own official statistics keep on telling a quite different story. In the decade from 2007 to 2017 the number of Danish piglets transported on torturously long journeys increased fivefold from 1.9 million to 9.4 million per year. These young, terrified creatures are trucked, shipped or flown to almost 50 countries – often for breeding purposes. The top export destination is China, which is the only producer of pigmeat slightly larger than the EU. But the political and economic union to which our governing party remains so firmly wedded does still hold the world record for exporting pigmeat. Their plucky little Scandinavian state gives them all the assistances and incentives needed to do so, having long excelled in the endorsement of systemic, industrialised suffering and abuse of farm animals. As recently as 2014 25,000 piglets a day were dying in Danish factory farms before even making it to the slaughterhouse and 95% had their tails docked to stop them chewing and biting each other in their cramped concrete sheds. Meanwhile, as far back as 1999, the UK banned the use of gestation crates – invented more than half a century ago as a brutal method of preventing larger pigs taking food from smaller ones, thereby enabling this agricultural sector to attain and maintain high productivity. This country’s far more humane animal husbandry has massively improved the conditions in which animals are bred for slaughter on these shores. But it has also led to far cheaper Danish (and Dutch) bacon taking a larger slice of the lower end of the pigmeat market. That, after all, is how the European single market is designed to function. The various ways in which export-driven politicians have made sure Denmark remains one great big monstrous meat-grinding machine is so appalling that the writers of Nicola Sturgeon’s favourite box set Borgen were even moved to devote an entire episode to a fictional government in Copenhagen quietly plotting to further relax the rules for pig farmers. It will, of course, take more than one single hour-long slice of TV drama to bring about the truly dramatic shift in consciousness needed to end this real-life industrial-scale Nordic noir. Progress comes dripping slow on this policy-making sphere in Denmark. It was only just over a year ago that the country experienced its first ever animal rights marches – in Copenhagen and Aarhus – as campaigners against cruelty linked arms with veggies and vegans. Veganism is rapidly on the rise in Denmark, as here in Scotland – a phenomenon boosted on both sides of the North Sea by rapidly growing awareness of the dairy sector’s many dirty secrets. He’s got it wrong on that last point. The real blame for the perpetuation of this cruel form of commerce lies with the Scottish Government. No one is more aware of that than the convener of the cross-party group on animal welfare at Holyrood. Christine Grahame has been campaigning for some time to end the suffering of Scotland’s discarded bull calves – which often get a bullet through their brain if they aren’t transported to Spain or some other distant EU state. Out of party loyalty and perhaps also some pity – defending the indefensible is never easy, especially for someone new to ministerial official – the veteran SNP MSP has used several Holyrood debates to try to gently cajole young Mairi into putting real governmental force behind a major expansion of ethical practises in the dairy sector across Scotland. Yet to date there is still only one ethical dairy farm in the whole of this country, located down in Dumfries and Galloway. 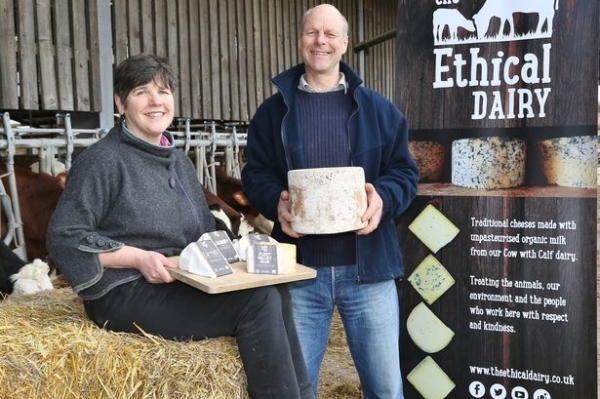 No longer able to stomach the cruelty intrinsic to conventional cow milk production, David and Wilma Finlay (right) have shown an alternative way forward in their farm near Gatehouse of Fleet. There (and there alone) the bull calves are now reared until they are six months old and then slaughtered within the rigorous standards set down by Scottish legislation. Not a long or entirely pleasant life by human standards, but the sight of sprightly young bovine creatures lolling on the long grass alongside their plainly contented mothers is certainly a pleasant contrast to the harrowing plight of all those thousands of unweaned calves carted off to Spain. The key question is this: why is a much more ethical approach – by which farmers also get a proper price for their milk produce – a one-off experiment down in Kirkcudbrightshire rather than being systematically rolled out across rural Scotland? That is what Christine Grahame publicly asked the Minister for Rural Affairs several times. She has still to receive a satisfactory answer. When BBC Scotand’s Disclosure strand focused on the dark side of dairy in an investigation screened last autumn, P&O saw the PR iceberg ahead so called an immediate halt to the transportation of livestock on its Cairnryan to Larne route. Buffeted by the farming lobby – already bleating in her ears about Brexit – Mairi Gougean’s sole response was to take swift action to ensure that other ferry firms didn’t do likewise. She succeeded in that immediate dubious objective. But she continues to appear distinctly uncomfortable with this aspect of her ministerial brief. “The issue of male dairy calves is very complex,” she muttered nervously during one debate in the chamber. “The situation is not black and white”. (Probably not the best phrase to use given the colour pattern of most calves). There are, of course, no simple instant answers to any of this. But we should begin by realising that the ending of all forms of abominable suffering in Scotland won’t ever be achieved without real radicalism. Such a noble goal will certainly remain a mere fantasy if all we’re going to do post-independence is transform our nation’s capital into Edinborgen. There is a simple answer – to prohibit all foods made out of other animals. It’s not going to happen instantly, but it may not be far off – and I’ve suggested it to the Scottish Government. We can probably agree that hurting any sentient creature if we don’t need to do so is unethical. Since we don’t need to eat animals in order to survive, the fact that we enjoy the taste is a pretty poor reason for rearing, exploiting and then slaughtering them. On the other hand, I can see no moral objection to, say, picking up roadkill, taking it home and cooking it for tea because it’s (arguably) impossible to infringe the rights of someone or something that’s already dead. The problem that vegans have is that no food can be produced without massacring small animals and insects. (Your honour, I present the poem “To a Mouse” by the Bard of Ayrshire, Mr Burns, as an example of the rights of rodents being transgressed during the harvesting process.) A totally ethical diet is, consequently, incompatible with staying alive. I expect that even the most diehard of carnivores would find it difficult to justify some of the practices mentioned in Rob’s article. Most of us will also happily take it as read that shooting, hunting or tormenting animals for fun is cruel and unnecessary. In that last category I would include events like Grand National Day and Cheltenham festival which almost invariably cause horses to be killed while trying to jump over hedges. Anyone who attends these events or bets on the races is partly culpable for the carnage; it’s a bit like paying to spend the day in a slaughterhouse. 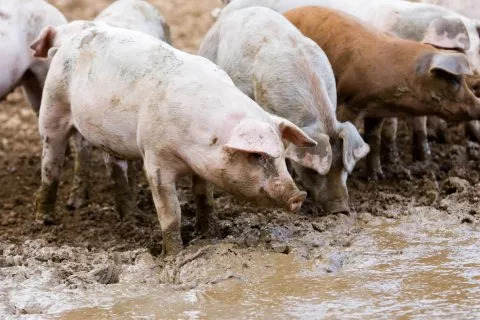 There is a further issue to be considered, the increasing pollution of the water in rivers and lakes by faecal effluent from cattle and pigs. The problem is very severe in countries with no legislation in the matter. In China, the majority of lakes and rivers are now so polluted. Ultimately the sea will also be dead. So if our propensity to pollute by carbon emission does not get us, our lust for steak and chips or bacon butties certainly will. I fail to see how slaughtering calves at 6 months old is any more ethical than slaughtering them at birth. I support independence for Scotland, but am often disappointed by the Scottish Government’s attitude to animal welfare, be it fish farming or traditional animal farming. The government seeks to make much of its commitment to all animals during transport. “Animals should only be exported in line with strict welfare standards” etc. Just words, unfortunately. No real commitment. No proper monitoring, no sanctions – what commitment? No recognition that the separation of a calf from mother within days of birth creates a welfare issue. 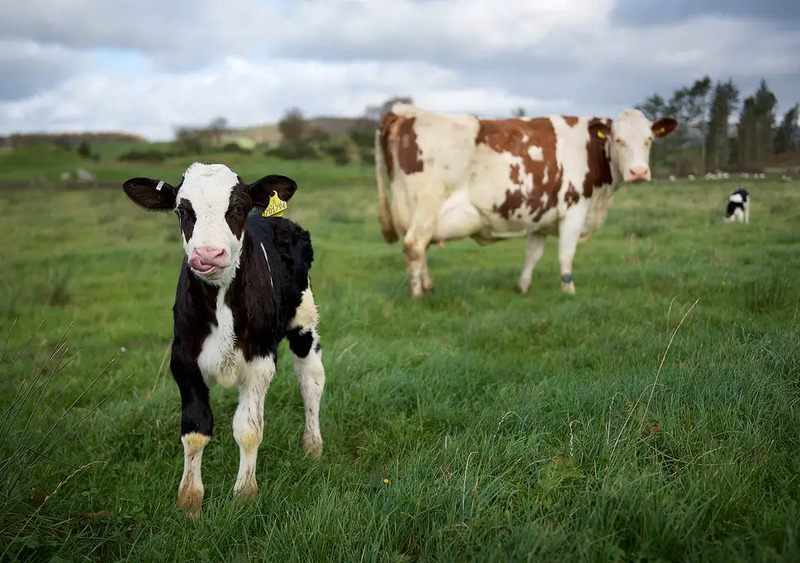 A letter received from a departmental source states “these calves have little value in the UK, they could otherwise be killed at birth.” A sad verdict on a living animal in our care. I suggest a test. You have two aisles in a supermarket selling milk. In one it is retailed as normal. In the opposite aisle, milk is on offer at a higher price, but with the backdrop of images of how dairy operates, including the story about male calves, with a slogan ‘Pay more to help animal welfare’. Then see what the public chooses. Given the comparative prices paid for alcohol and tobacco, I believe many would be prepared to pay more to buy the more ethical milk. Unless governments and industry are prepared to take a radical approach which starts with the welfare of farm animals as a given, rather than make the animal fit into some other regime in which the demands of the market are paramount, more and more consumers will move the alternative products.